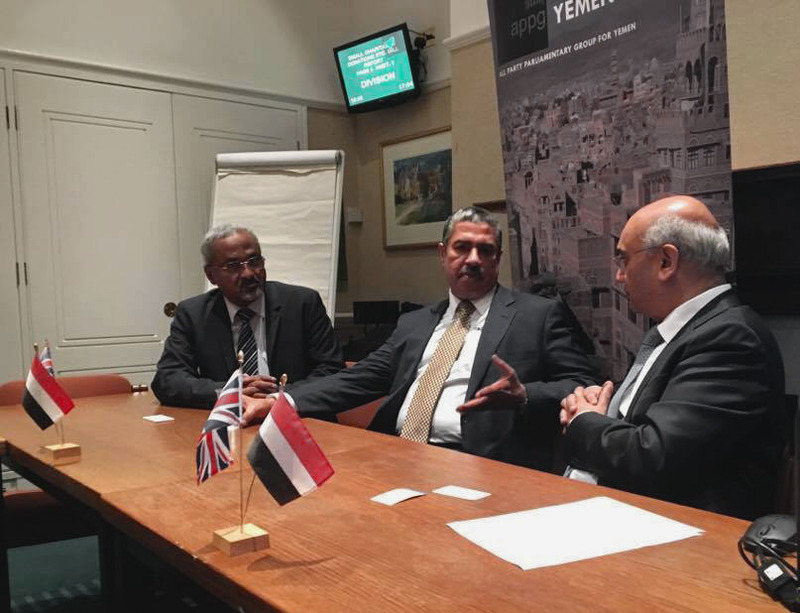 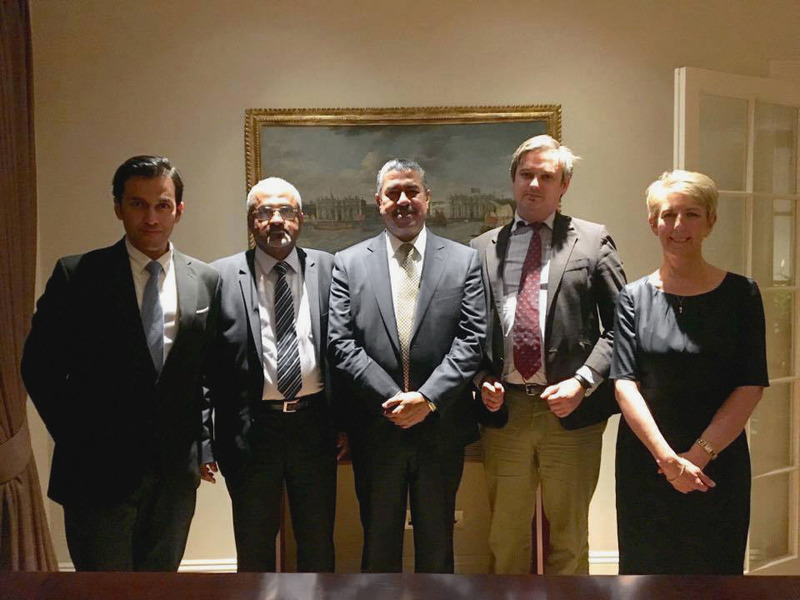 On Tuesday, the Human Security Centre (HSC) organised a briefing session for MPs in the UK Parliament, with the former Vice-President and Prime Minister of Yemen, HE Mr Khaled Bahah, and the former Minister of Transport of Yemen, Mr Badr Basalmah, in attendance. 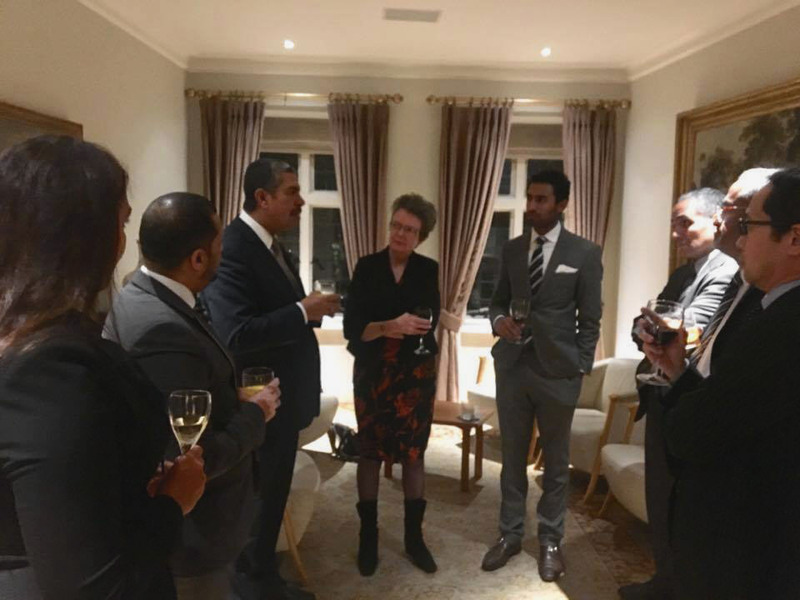 Later, HSC Director Dr Dwayne Ryan Menezes hosted a Q&A session and reception with the former Prime Minister and the former Minister of Transport at our Westminster office. 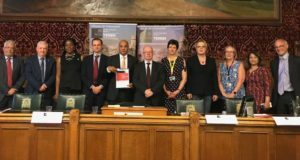 We were glad to have John Woodwock MP, Angela Smith MP, Stephen Twigg MP, Keith Vaz MP, Edward Argar MP, Madeline Moon MP and John Spellar MP join us at one or both event(s). 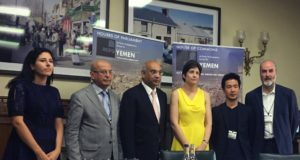 As the Secretariat of the All Party Parliamentary Group for Yemen, we hope that our work to advance the understanding of the crisis in Yemen will make a positive difference.